Lawmakers and regulators in several GOP states have hunted for flexibility that could make coverage more affordable for their residents, including relaxing Affordable Care Act requirements in favor of leaner, health risk-related plans. But Republican officials in Idaho, Iowa and other states have failed to take a different route that many experts say would help bring down premiums while retaining the ACA's essential benefits and protections for people with pre-existing medical conditions. Under authority first granted by the Obama administration in 2013, many states including Idaho have allowed insurers to continue offering so-called transitional plans. Such plans, which must have been in place before the ACA coverage rules took effect in 2014, do not have to comply with those rules. Individuals who had such "grandmothered" plans prior to 2014 have been allowed to keep them if the plans have not been significantly changed. Nationally, it's estimated there are nearly 1 million Americans in transitional plans in the individual and small-group markets. State officials have had the option to end these grandmothered plans. 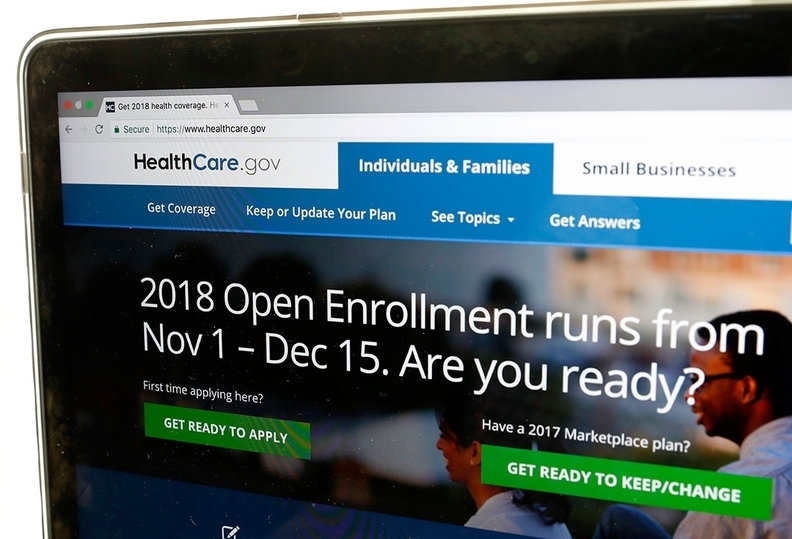 But about three dozen states, including Idaho and Iowa, have allowed them to continue, even though experts—including Idaho's chief actuary—say moving transitional plan enrollees into the ACA-regulated market likely would bring down premiums. Even as Idaho moves to allow a new type of non-ACA compliant plans, called "state-based plans," Dean Cameron, director of the Idaho Department of Insurance, wants to keep the existing transitional plans, which cover about 9% of Idahoans in the individual market. "I don't see us necessarily moving away from continuing transitional plans," Cameron said in an interview. "We know those individuals have to have something to go to." He and other state officials around the country fear the political consequences of forcing people to shift into higher-priced ACA plans, which could lead some to drop coverage. "They may think the ACA premium is too high and sit it out," said Wes Trexler, the Idaho insurance department's bureau chief of product review. Current CMS rules phase out transitional plans at the end of 2018. But the CMS hasn't yet decided whether to grant another one-year extension for such plans. Experts say people in transitional plans are almost certainly healthier than the population in ACA-regulated plans because insurers offering transitional plans base premiums on health status. Enrollees in transitional plans who get sick and face higher experience-rated premiums can switch to ACA plans, which are not allowed to consider health status. The thinking goes that if they haven't switched, it's probably because they are healthy and are getting a better deal in the transitional plans. "It's a fair assumption (the transitional plans) have a healthier population," said Trexler, who noted that Idaho rate filings show transitional plans have substantially lower premiums than ACA plans. "If you move some portion of transitional policies over to ACA plans, I suspect it would improve the ACA risk pool." Nearly 9,000 of the 110,000 individuals enrolled in Idaho's individual insurance market were in transitional plans in 2017, down from 16,500 in 2016, according to state data. Another 3,000 individuals were in non-ACA compliant grandfathered plans, which are plans that have been in continuous existence since before the ACA passed in 2010 and which the law exempted from compliance. Blue Cross of Idaho officials say rates for transitional plan members are 25% to 45% lower than for ACA plan members because the transitional plan enrollees are healthier and the benefits are leaner. In Iowa, more than half the people in the individual market—nearly 85,000—are in transitional or grandfathered plans. That's widely seen as a major reason for Iowa's insurance market woes. Last year, the state tried and failed to win federal approval for a controversial proposal similar to Idaho's to allow leaner plans as a way to stabilize the market. Transitional plans also are a significant factor behind Idaho's insurance affordability problems, though the effect has gotten smaller as transitional plan enrollees have aged, said Joel Ario, managing director of Manatt Health Solutions and a former state insurance commissioner. "States know the transitional population has a better risk profile, and bringing them in will always be to the benefit of the ACA insurance exchange," he said. Another challenge for Idaho and other states is that short-term health plans are pulling healthier people away from the ACA market. In 2016, there were about 4,000 Idahoans in short-term plans, which don't have to follow ACA rules and attract healthier people with lower premiums because they can screen out people with costly health conditions and offer skimpier benefits. While current federal rules limit short-term plans to 90 days, the Trump administration is expected to soon propose a new rule allowing such plans to run for 364 days. That will encourage more healthy people to eschew the ACA market and buy short-term plans, insurance brokers say. States have the authority to tightly regulate such plans, but most haven't done so. Yet another challenge for the ACA markets is that a growing number of Americans are joining faith-based cost-sharing programs, which are not regulated as health insurance and do not provide enforceable consumer protections. On top of that, the Trump administration has proposed a rule to allow businesses and individuals to band together in lightly regulated association health plans, which also may pull healthier people out of the ACA market. Cameron said he isn't happy about the various ways the insurance market is being divided between healthier and sicker people, with sharply different premiums and benefits. But he doesn't want to close off people's options by ending transitional plans or blocking the expansion of short-term plans. He argues that Idaho's new state-based plans will give consumers a better option, including more comprehensive benefits and greater consumer protections. Blue Cross of Idaho has announced it will sell such plans, which Cameron would like to see on the market as soon as April. But other insurers in the state, including Regence Blue Shield of Idaho, PacificSource, SelectHealth, and Mountain Health CO-OP, have expressed concerns about the legality of the new model and its impact on the ACA market's stability. They are holding off on deciding whether to offer such plans. "We know that individuals who can't afford ACA coverage are being forced out and are choosing coverage that may be OK for them for the moment but isn't good for them in the long term and isn't good for the entire marketplace," Cameron said. "With state-based plans, we're trying to bring them back into the marketplace and improve the overall health of the risk pool."